My friend and coworker Kelly Mac sent this image to me this week. It made me smile. It was taken in the final hours of the Salsa Japan Tour 2012 while out walking in Tokyo. That’s a chocolate covered banana on a stick! 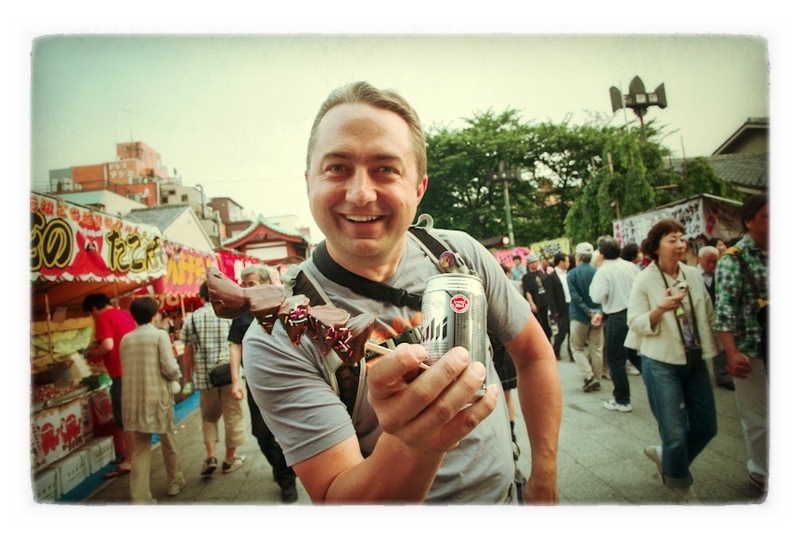 Oh….and a cold Asahi. I loved every minute in Japan. Enjoy your weekend. I plan to ride my new bike…….